A teenage assassin kills with a single kiss until she is ordered to kill the one boy she loves. This commercial YA fantasy is romantic and addictive—like a poison kiss—and will thrill fans of Sarah J. Maas and Victoria Aveyard. Marinda has kissed dozens of boys. They all die afterward. 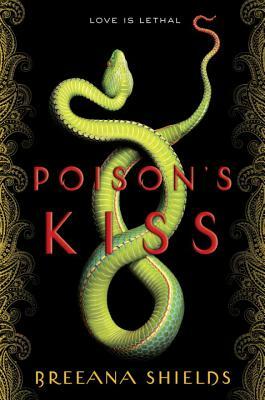 It’s a miserable life, but being a visha kanya—a poison maiden—is what she was created to do. Marinda serves the Raja by dispatching his enemies with only her lips as a weapon. Until now, the men she was ordered to kiss have been strangers, enemies of the kingdom. Then she receives orders to kiss Deven, a boy she knows too well to be convinced he needs to die. She begins to question who she’s really working for. And that is a thread that, once pulled, will unravel more than she can afford to lose.